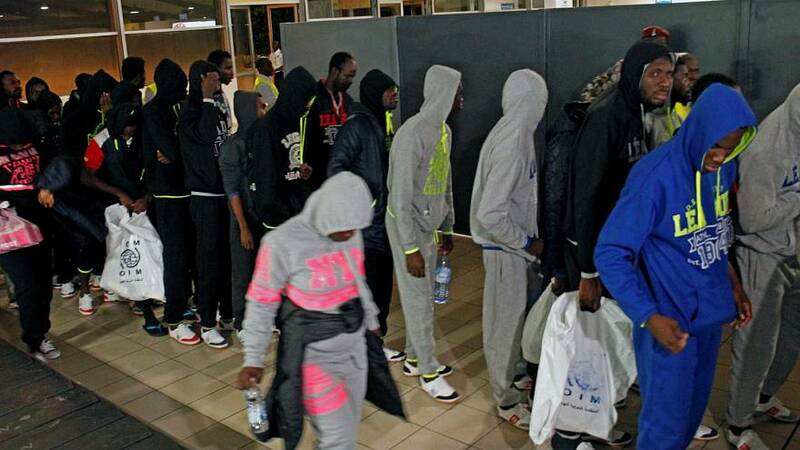 Ivorian migrants returning from Lybian detention centres have confirmed the sale of slaves in the North African country. A total of 155 returned to Abidjan on Monday night, each with a tale to tell. Trying to make their way to a new life in Europe, they were often abused by smugglers and blocked by Libyan authorities. The Ivorian government regularly repatriates returning migrants, but since CNN published areport on the migrant slave trade in Libya, their testimonies have started to really hit home. Diabz Baba, a migrant returning from Tripoli said: “They sell Africans in Libya, they sell men over there. He said: “It’s an open secret which means many people knew about what was going on in Libya. We have talked about this repeatedly with sensitive people in Ivory Coast during our campaigns by talking about the abuse of migrants and the abuse of women in particular. The revelations have brought yet more scrutiny on a country already in crisis. Demonstrations sprung up outside Libyan embassies in France, Mali, Guinea and other sub-Saharan African states. Burkina Faso recalled its ambassador to Libya, while the UN General Assembly president Peter Thomson condemned the “appalling” slave auctions.